The European Union’s Trade Commissioner, Cecilia Malmstrom, has stated that the Commission’s negotiations could be based on the EU being “willing to bring down even . . . our car tariffs to zero, all tariffs to zero, if the US does the same”, the Financial Times reports. 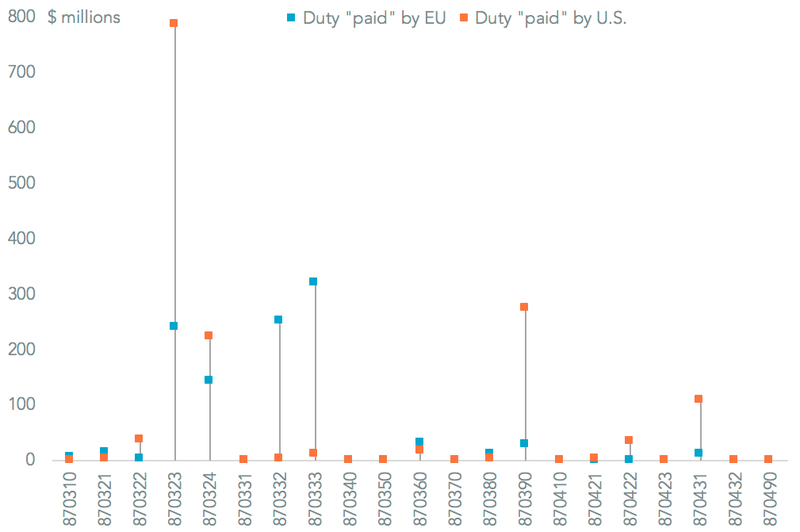 While the automotive industry was not formally apart of the process of negotiations launched by President Trump and President Juncker, as outlined in Panjiva research of July 26, such an offer may help preempt progress of the wider section 232 probe of the industry. The willingness of the EU to act unilaterally would undermine the process by which the EU with four other countries, including Japan and South Korea, are attempting to tackle the section 232 probe. It may also be a response to the agreement reached between Mexico and the U.S. for the automotive industry in the context of NAFTA negotiations. The behavior of the European carmakers recently has suggested that a successful resolution of the details is not expected. 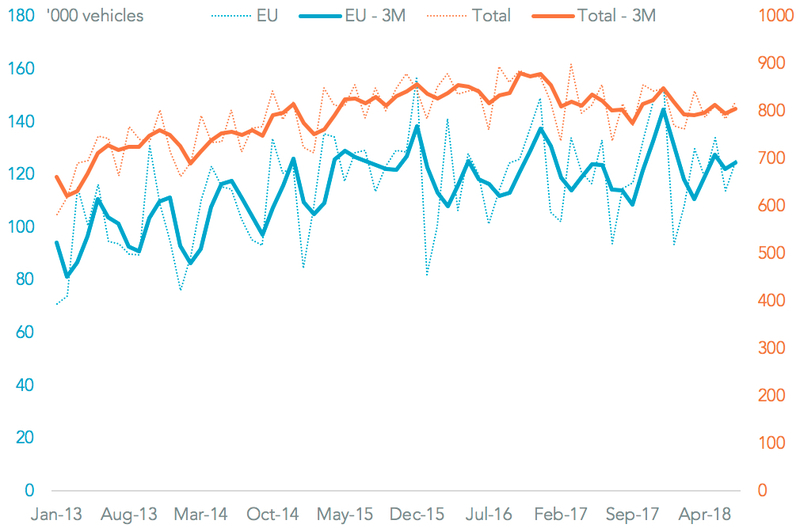 Panjiva data for imports of passenger cars (HS 8703) from the EU climbed 33.6% on a year earlier in July when including seaborne shipments. 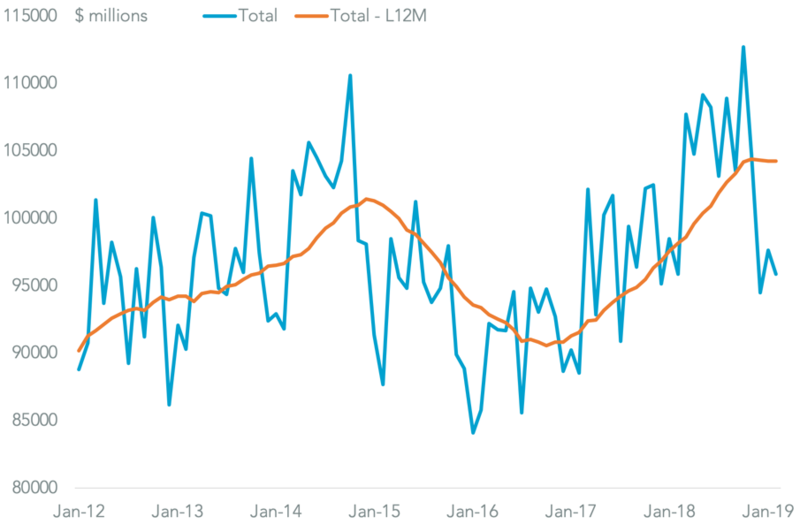 That was a marked turnaround from the 1.1% decline seen in the second quarter and comes despite a slowdown in sales growth in the U.S. more broadly. 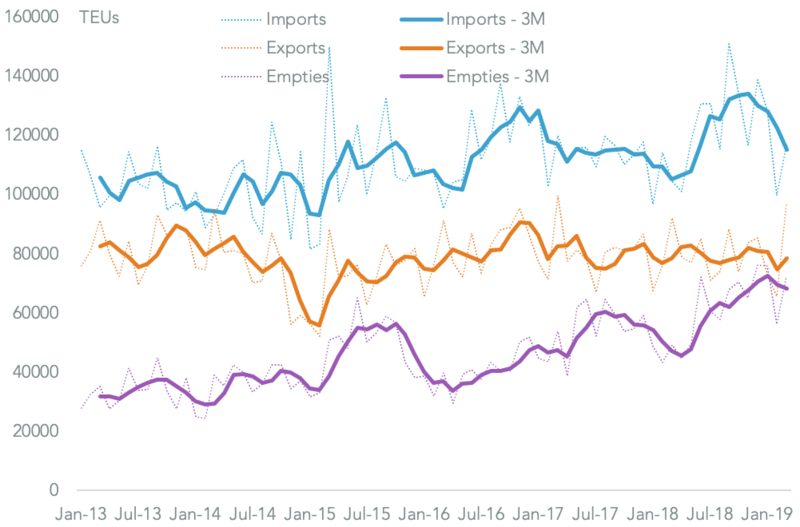 The fastest expansion in shipments has come from Jaguar Land Rover, up 37.0% in July, and Volkswagen (including Audi) whose U.S. imports rose 34.9%. By contrast Daimler’s have increased by just 4.4% (though they had increased significantly in 2Q) and BMW’s actually fell by 3.0%.